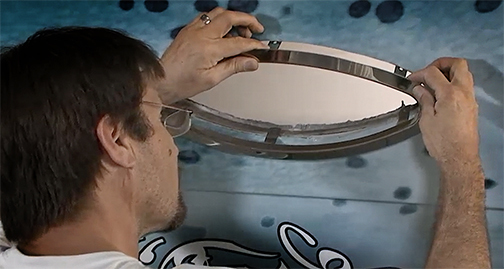 Watch how easy it is to replace those old, scratched and partly opaque portlights with brand new ones. It’s a relatively inexpensive project to help make your boat look new again. Above – the trim ring is fed in from the outside and sealed with calking. On the inside – bend some tabs, secure with a few screws, then caulk and screw in the port light and you’re done. See how easy this project is to do in the video below.